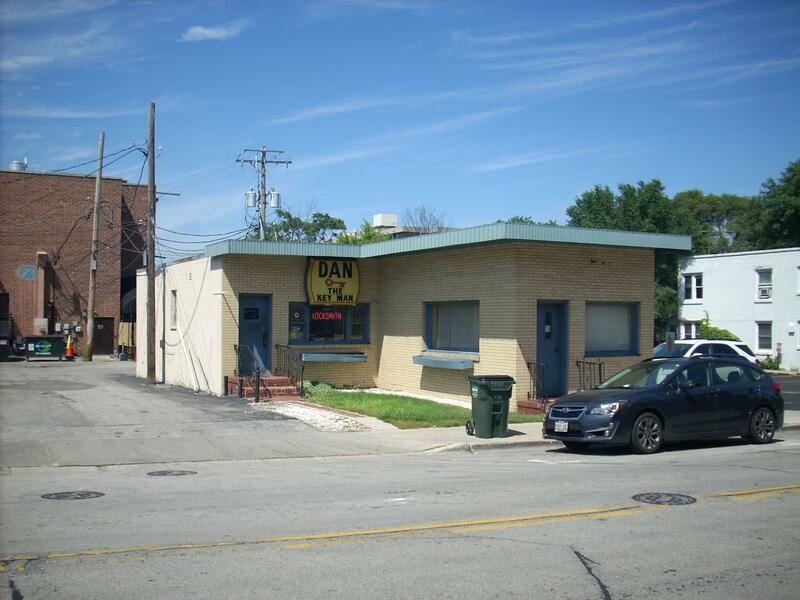 Historic Info: From information provided by the Libertyville-Mundelein Historical Society: "Dr. Sayers, one of several optometrists in Libertyville in the 1950s, maintained his office at 112 East Church Street opposite the telephone office. From 1939 to 1956 his office was at 428 North Milwaukee Avenue. Dr. Sayers lived at 123 N. Stewart in Libertyville. He was an antique automobile enthusiast and collector. Born in 1906, he died in 1961." Other Sources: Historic photograph provided by LIbertyville-Mundelein HIstorical Society to the Illinois Digital archives.